Online betting exchange Matchbook.com, recently launched their new betting exchange platform and new responsive website. Having undertaken this new product revamp, Matchbook.com has ambitious plans for 2014. Team SBC caught up with Global Head of Acquisitions Francis Osei-Amoaten to discuss the current betting exchange market, marketing in sports betting and Matchbook.com’s ambitious future plans. SBC: Hi Francis pleasure to meet up with you. Can you give our readers insight into the new Matchbook platform, what changes and innovations has your team undertaken with this new platform and website? Back and Lay defines exchange betting however you can select only the back feature in user display preferences. Better navigation and filtration for sports and marketsI think that particular operators have made it a ‘Everest expedition’ for their clients to find the market they want to bet on. Matchbook is trying its best to keep it simple for our clients, with few clicks to market and eventually a search function. In general we believe it should take a client a maximum of 4 clicks to reach the final stage of bet confirmation for any event. 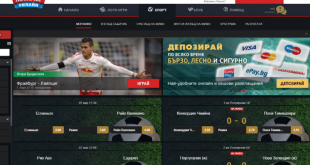 Our new site also uses all the real estate that is available on any device and therefore presents the client with the maximum amount of betting opportunities. Completely new cashier module, with ability to save payment details for future deposits. Localised timezones for all users, as well as countdown timer for all games kicking off in under 3 hours. In terms of back end technology our 40 strong IT team have completely re-built a platform using the latest technology that we are confident is not only stable and scalable but provides Matchbook with the best chance of being able to adapt as the online product offering evolves. We have always been mindful of some of the horror stories/rumors we hear about inflexible platforms that operators are being forced to keep going due to the massive costs that would be involved with overhauling them completely. SBC: Matchbook.com has very interesting history being the biggest US facing betting exchange. You are now going to refocus operations and targeting the European gaming market – as Global Head of Acquisitions what competencies must Matchbook develop and learn in order to succeed in the European betting market? Francis: We believe in doing things in small steps, the right way, first time around. We wanted to have better product and offering before claiming to want to take on any market , let alone one of the most competitive and saturated in Europe. Matchbook has to continue to be honest with itself and customers in what we deliver them and how we communicate our plans to them.Its also important to add that although we don’t accept US customers we have the best US sports product on the market, if you don’t use us for NFL, NBA, MLB and NHL in my humble opinion thats a serious error of judgement.For serious players of US sports there is only 2 operators that are even worth talking about we are one of them , period ! In regards to our European offering by focussing on Asian handicap football markets which are the most liquid in the world we now have the best AH product out of all the European operators. Our pre game Tennis markets are very competitive also comparable with most leading books.Our in running product is also a very exciting opportunity for us , we have never really had a presence in the live market but that is changing month by month with many more in-running opportunities across several sports. We also have to try and remain as lean and agile as possible rather than create an unnecessary mammoth of company with lots of internal inefficiencies. IT has to continue to be a core focus and the desire to always stay one step ahead of an ever changing technological landscape.In terms of our regulatory commitments within Europe we will also need to try our best to plan ahead so that we are not caught out when the various licensing jurisdiction, countries and stakeholders finally agree on a equitable framework for operators. SBC: In many ways Matchbook.com is presenting itself to European sports bettors as a new brand – what values and messaging do you want Matchbook.com portray to new customers. How do you differ your marketing proposition to the established brands in the market such as Betfair and Betdaq? If we achieve the above and maintain it, then by default will have a differing proposition to other established brands. No other exchange is able to provide all of the above on a consistent basis. IT reliability appears to be an issue for some and the ability to handle the largest clients in the world by providing them high stakes betting across all sports is an issue for others. Matchbook has been doing this for a long time now and we are ready to tell the world. With that said , we have a healthy respect for the many firms that have pioneered the exchange industry and always ‘on our toes’ as we know many have tried and failed to emulate. SBC: Betting exchanges revolutionized wagering on sports betting, however popularity in the platforms have seen a dip and some stagnation in growth. Why has this occurred, has wagering on betting exchanges become too complicated and unappealing for casual punters. Francis:I don’t have the figures to fully assess your claim of stagnation in growth but what I would say is that more opportunities for consumers helps growth in any market. If you have only one serious player in the market then eventually and ultimately you will see a plateau in the uptake of an innovation such as exchange betting. I also accept the fact that a relatively small percentage of players fully utilize the power of an exchange but I expect that to increase as a new demographic of savvy player emerges. Even the casual player doesn’t like to lose and with the evolution of odds comparison sites and statistical tools now emerging they will increasingly try to place what they perceive to be ‘shrewd’ bets based on the basic information at their disposal. These same casual punters find that even they are being limited at most regular sportsbooks and in many cases even closed. Semi or professional punters are almost certainly banned from most high street bookies so for them an exchange such as matchbook is there only hope to keep doing what they love in a serious way. SBC: How does your Betting Exchange proposition look to build long term customer loyalty, when betting customers have so much choice? Francis: I think this again boils down to some of the core values that we want to stand for as the business grows and develops, if we maintain those , are customers will be loyal to us. Competition is at the heart of our culture and therefore we will always aim to provide the best value to our customers every time they interact with us. The information that is accessible to punters eventually Matchbook will supply direct to them so that every gambling decision is informed and our clients can utilize a best-in-class platform and have the ultimate gambling experience. We also think our clients are enjoying the journey they are on with Matchbook .For those that have played with us for many years no moment has been dull, and at no time have we stood still. They clearly see that the company is growing , changing, improving and they are still being catered for and provided with more and more options and growing liquidity. I also have to comment on the many extremely large clients that we look after. These clients both institutional and as individuals demand a premium product offering and service, they get that at Matchbook . 6 figure wagers are the minimum requirement for these outfits and individuals and they now have the confidence that we are able to facilitate their size at a great prices for a fraction of the cost that have experienced elsewhere. Everytime we facilitate bets for this growing group of clients I know that its one less bet that a competitor is seeing. Quite frankly they would never entertain dealing with us if they were not extremely confident about what Matchbook can deliver and stands for . SBC: Sports betting marketing has seen a familiar pattern set with regards to promotion and advertising of products – these include media buys, affiliations, sponsorship’s etc.. what do you think of these strategies, should betting products look to do more in terms of marketing and communications of their brands? Francis: Either these strategies work amazingly well or operators can’t stomach to see a competitor with his name in lights at halftime and therefore feel compelled to follow suit. I definitely feel that brand communication is something that will help Matchbook and also a clear transmission of how our prices are pound for pound the best in the market when the case may be.We have been offered sponsorship of various premiership football clubs and media buys and although we won’t be foolish enough to rule it out forever , at this stage it doesnt suit us in this business cycle. SBC: 2014 is going to be an important year for sports and sports betting. What are you and your team at MatchBook looking forward to the most in 2014? Francis: Well firstly I am glad you mention the word team because that is something that concept is so important to the fabric of Matchbook. As a team we have grown personally and professionally with each other as we continue this amazing journey and reflect on the colossal growth we have seen over the past few years. I look forward to the team continuing to deliver on the promise and great start we have made, every area of the business plays a vital role in keeping up the progress we are making and I commend them for that. At acquisition in 2011 it was all about stabilization, 2012 was about foundation creation and 2013 felt like the start of something beautiful. So in 2014 I expect us to continue to grow and build ourselves up into a betting home for professional and casual punters alike, respected, appreciated and valued for the effort we are making to give them a high liquidity,best priced and lowest commission exchange. We have a great new app that is available on istore which we expect to take off in a big way, uncluttered, simple navigation and bet placement a great addition to our product portfolio. I also look forward to working with more and more bookmakers who want to take larger size on US sports and asian handicap football lines but have no where to hedge should they want to, we are helping several already and I look forward to doing more such deals in 2014. Last but not least our 0% commission soccer promotion kicks in on the 2nd of December which I’m sure the masses will appreciate in the build up to Brazil 2014 and a Ghana world cup win !